St Mirren Park will host the under-21s Euro 2013 qualifiers starting with Bulgaria in September 5. 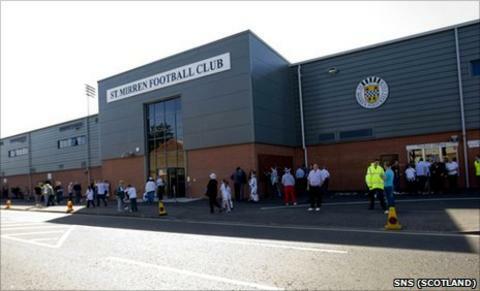 The Scottish Football Association has announced that St Mirren Park will be the new home of the Under-21 team. The stadium will host all four home qualification matches for the 2013 European Championship. "I am delighted that we will have a recognised base going into our home qualification matches," coach Billy Stark said. "My squad can familiarise themselves with the venue and I believe that will be of great benefit to us." Scotland U21s warm-up with a friendly against Norway in Paisley on Wednesday before the qualifying games with Bulgaria, Luxembourg, Austria and Holland. "Every Scandinavian side is tough to beat," said Hibs defender Paul Hanlon. "They're always big strong lads, well organised and good football players as well. "I think it will be a tough game, but we've got to really focus on ourselves."